Lots going on as the St Paul Winter Carnival heats up, but even without the added merriment, jazz offerings alone make for some tough decisions as there are intriguing gigs at every turn. But it also means you can’t lose. Give your weekend a relaxing jumpstart at the Dakota early Friday evening with the proverbial Happy Hour team of Irv Williams and Peter Schimke. About 40 years apart, the pianist and saxman nonetheless are like brothers once the music starts, as their recording Duo attests. 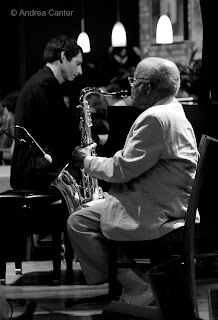 And given that Irv is 92, any chance to hear him play is a gift. This Friday, if you stick around for prime time, you’ll hear the vibrant, countrified jazz/fusion sounds of the Galactic Cowboy Orchestra. Or take a trip out I-94. 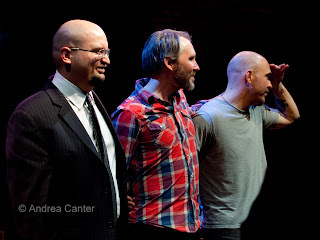 Back in the Midwest after their annual runs at the Dakota and Village Vanguard, The Bad Plus turns up in St. Cloud Friday night (1/17), bringing music and mayhem to the classic trappings of the Paramount Theater. If you missed them at the Dakota, this might be a good alternative. And if you miss them in St. Cloud, remember they will be back in late June with pal Joshua Redman to close out the Twin Cities Jazz Festival (6/30). If St Cloud is too far for a winter’s night drive Friday night, then the 318 Café in Wayzata is an easy stroll, and a chance to hear some new music from guitar genie Reynold Philipsek before he leaves town for a month. There will be some previews of his upcoming CD, Last Summer, and some collaborations with bassist Matt Senjem and percussionist Michael Bissonnette. And with your $10 you get your pick of CDs from Reyn’s treasure chest. Two weeks ago we heard fiery ensembles back-to-back at the Artists Quarter, with wholly different approaches to the piano and repertoire, and already we are getting a second dose. Richard Johnson returns to the Midwest this weekend (1/27-28) at the Shanghai Bistro in Hudson with AQ trio mates Graydon Peterson and Reid Kennedy. Expect a night filled with swing and bebop and a sprinkling of stride. Also on Friday and Saturday (1/27-28) at the Artists Quarter, Bryan Nichols and his Quintet reprise, in part, their January 15th recreation of the music of Keith Jarrett’s American Quartet, along with a good dose of original compositions. The show two weeks ago was one Bryan’s best, and that is saying quite a lot. They will have to make do without percussionist Jay Epstein this round, but otherwise it’s the same ensemble, doubling Jarrett’s sax section with both Mike Lewis and Brandon Wozniak, with James Buckley on bass, JT Bates on drums and, of course, Bryan on piano. And Brandon and JT are going to need a helicopter Saturday night (1/28), starting the evening early with the Monk in Motian ensemble at Studio Z (7 pm). Generally paying homage to the music of Thelonious Monk as interpreted by Motian’s Electric Bebop Band, this concert (part of the Jazz at Studio Z series) will more thoroughly honor the late Paul Motian by sporting three drummers—Pete Hennig, Davu Seru and JT, as well as Wozniak and Scott Fultz on saxophones, Zacc Harris and Park Evans on guitars, and Matt Peterson on bass. Monk in Motian does not gather often, given the busy careers of each of these artists. They will be sharing on open rehearsal at Studio Z at 4 pm (no charge for the rehearsal). If you like the idea of two guitars, you can get your wish two more times this weekend with “Guitars Extraordinaire” in the Black Box Theater of the Bloomington Center for the Arts, Saturday night (1/28) and Sunday matinee (1/29). 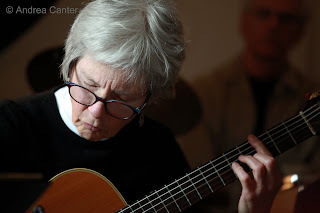 And what could be more extraordinaire than master guitarist/bassist/mandolinist Joan Griffith and the young veteran of hot club music, guitarist Sam Miltich. 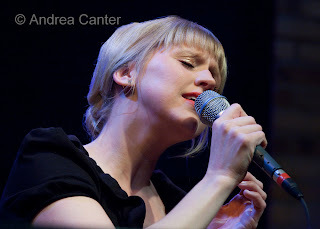 Add to this pair the guest vocals of Connie Evingson and the percussion support of Dave Schmalenberger and you have a recipe for enchanting interpretations of Brazilian and swing standards and likely some original works from Joan. Tickets for Saturday were nearly gone, and a handful remained for Sunday at last report. Call the theater to see what’s left. Diverse options on Tuesday (1/31): For some swinging takes on the Great American songbook, look no farther than Maryann Sullivan as she takes the mic herself at The Nicollet. For the past few years, she has kept her talents under wraps, stepping out now and then as Maxine Sousé. But now she’s given up the cloak and dagger. That voice of KBEM works quite well in song! Meanwhile, Café Maude continues to expand its musical offerings, tonight with the startling duo of cellist Michelle Kinney (Jelloslave) and tabla master Gary Waryan. World music, jazz and experimental improvisation on the same dinner plate. The piano at the Artists Quarter took a beating last weekend (even broke a string) but it was all in the name of monstrous talents from near and far, and the AQ’s “keyboard showcase” continued into midweek. 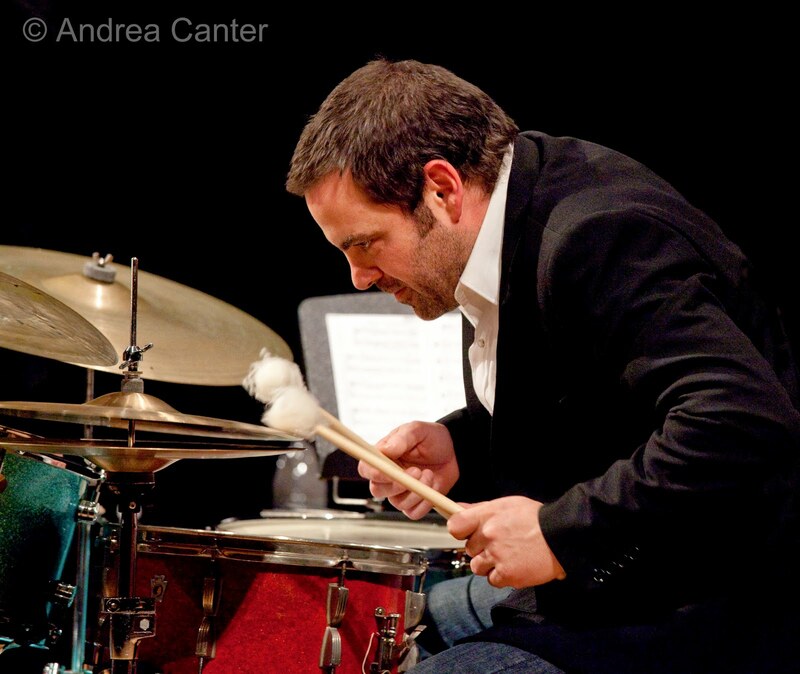 • Jon Weber Trio, January 13th (Artists Quarter). Always welcomed as a favorite adopted son, pianist Jon Weber had to play second fiddle, briefly, to Twin Cities Jazz Festival director Steve Heckler, who was on hand not only to sponsor the night but to announce the 2012 headliners. 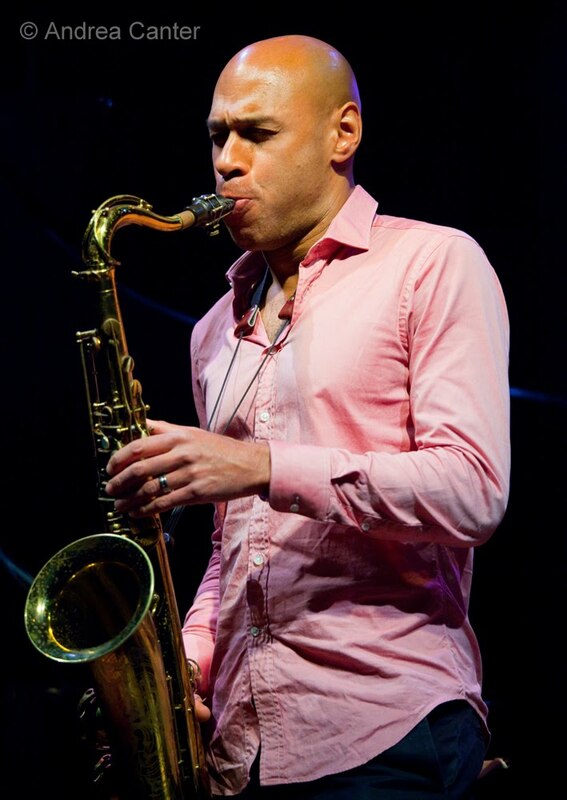 And we were all thrilled to hear that Joshua Redman will appear on stage with the Bad Plus, that Delfeayo Marsalis will bring his octet to Mears Park, and that Francisco Mela will appear as leader with his ensemble! But on with the show, and it is always a show when Jon Weber is at the AQ. As usual, he started off solo, soliciting requests, asking for keys, spouting off trivial facts that leave us scratching our heads – how does he store all that information as well as all that music? After a while, Jon invited on stage his trio mates for the evening, bassist Billy Peterson and drummer Kenny Horst, leading into a long set of stride and bop-filled favorites. And as always, the game was “Name That Quote” as Jon repeatedly found ways to insert fragments of other tunes, sometimes cleverly reprising something he played earlier. An added treat was the guest appearances of not one, but two stellar local vocalists. 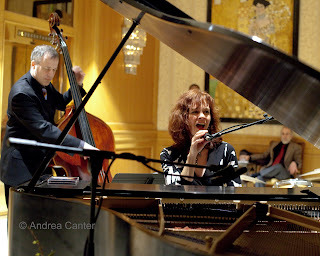 Maud Hixson performed with Jon on his last visit in fall 2011, as well as in gigs at the Metropolitan Room last winter and at the gala New York Cabaret Conference in October. And Alicia Renee has performed at the jazz festival with Jon since she was I her mid-teens, and her voice as only matured since then. Maybe Jon’s jams at the 2012 festival will include a hand-picked singer showcase? Start with Maud and Alicia. It’s not hard to understand why Weber was the heir apparent to the host chair for the new iteration of Marian McPartland’s Piano Jazz (Piano Jazz: Rising Stars). He’s personable, funny, quick-witted and, yeah, a terrific musician. 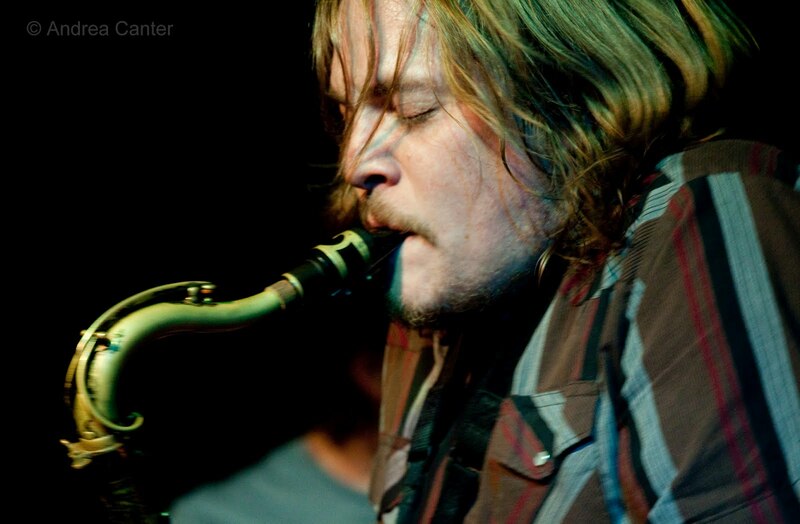 • Richard Johnson Trio, January 14th (Artists Quarter). 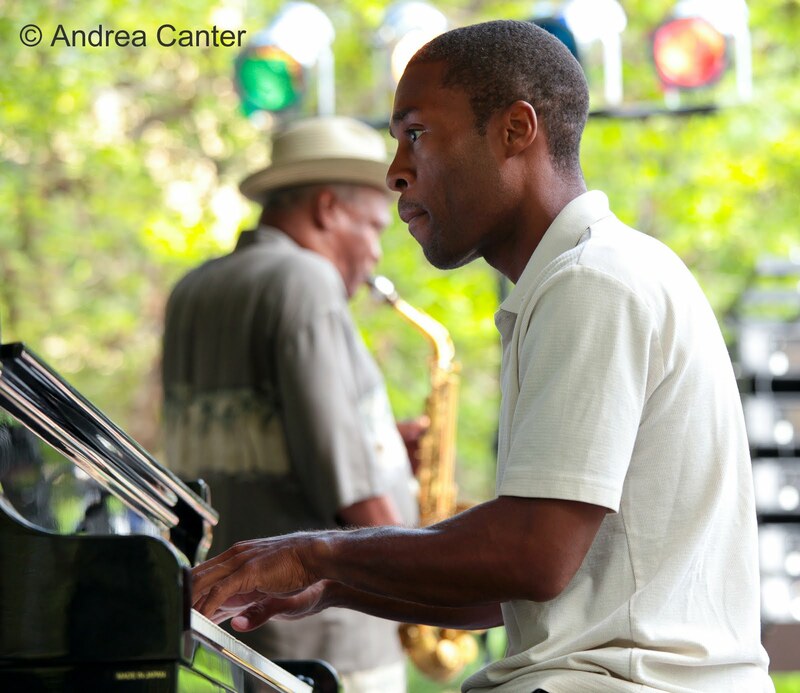 If you were at Bobby Watson’s set at the 2010 Twin Cities Jazz Festival, you should remember Richard Johnson, the young pianist who burned up everything Watson tossed out. He’d already done the same working for Wynton Marsalis and Russell Malone in his early career. Now moving more forcefully into his role as leader, Johnson was an interesting follow-up to Jon Weber, possessing some of Jon’s predilection for stride and swing, and similar tendencies to quote from far and wide. With Graydon Peterson on bass and Reid Kennedy on drums, it was a night of still-youngish lions at play, and the seldom-tapped jazz potential of West Side Story provided an ambitious playground. Highlights—Johnson’s solo on the “Jets’ Song,” chocked full of the history of jazz from stride to post bop; Peterson’s arco basslines tracing the melody of “Somewhere;” the staggering rhythm of the arrangement of “I Feel Pretty,” complete with riffs from “There Will Never Be Another You.” Johnson likes it here and plans to return monthly in the coming year to a variety of local venues. To date, he has gigs set at Shanghai Bistro in Hudson (2/4), Hell’s Kitchen (2/25) and again at the AQ (3/16-17). Stay tuned. 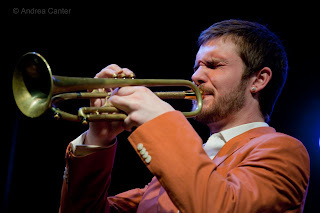 If Jarrett wanted to revive this body of work today, he would need look no farther than saxophonists Mike Lewis and Brandon Wozniak (doubling the reeds in the original quartet), bassist James Buckley, drummer JT Bates, and the additional layer of Jay Epstein as the sixth man on percussion. And, in fact, if Jarrett wanted to just sit back and listen, he could do no better than Bryan Nichols as his alter ego. The energy level alone could keep lights burning in LA for weeks, and the virtuosic soloing and collective bargaining pushed the musical envelope throughout the evening. This music is as innovative and ear-catching today as it was 40 years ago. And following a 2011that might be dubbed “The Year of Bryan Nichols,” the pianist just moved it up another notch to kickoff 2012. If you missed the show, or if you want more, Bryan promises to mix some Jarrett with original music when he returns to the AQ with the quintet next weekend (January 27-28). • Dan Musselman Trio, January 18 (Artists Quarter). Young Dan Musselman capped a week of piano action at the AQ with a laid-back outing featuring Matt Peterson on bass and, perhaps less familiar, Alex Young on drums. Musselman can rip through the keyboard like McCoy Tyner but took it somewhat more gently this evening, perhaps wary of that piano string with a temporary fix pending replacement. About half the first set were Musselman originals, from a brooding, dark “Winter Solstice” to an ominious “Sahara” that suggested a back alley in Marakkesh to a more up-tempo “Outbound” and the mini-epic “On the Way.” Drummer Young’s transcription of Brad Mehldau’s “When It Rains” yielded the most lyrical moments of the set, while bassist Peterson offered a hopeful melody on “Today Is the First Day of the Rest of Your Life” and the solemn syncopation of a traditional Israeli folksong. Far too few heard this music. Musselman deserves a wider audience. Sometimes the coldest nights of the year bring out the biggest crows. Well, of course, we all know music can warm the heart and soul! There will be some warm-hearted and heat-heavy moments this weekend and should carry us into next week. Tonight (Friday, 1/20), two high-energy performers join forces supported by a swinging trio at one of our newest music venues. At the Crooked Pint Alehouse, singers Katie Gearty and Nichola Miller will offer enough heat to melt Winter Carnival ice sculptures, while the Tanner Taylor Trio will more than keep up the pace. Katie is often heard with Vital Organ and can move from jazz to blues to R&B with a flick of an eyelash; Nichola simply swings til the rafters shake. 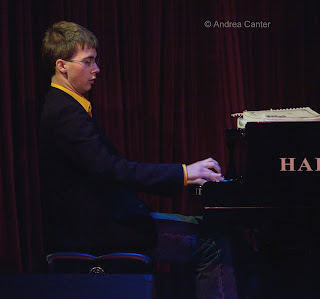 Monster pianist Tanner Taylor gets plenty of support from bassist Keith Boyles and one of the youngest additions to our jazz scene, drummer Trevor Haining. Across and around the bend from MacPhail on a busy Washington Avenue corner, the Crooked Pint has been hosting a diverse schedule of music since it opened last fall. If a little more gentility is your preference for Friday or Saturday nights, grab the couch or nearby table at D’Amico Kitchen (lower level of Meridien/Chambers Hotel) and enjoy the mainstream pleasures of the Benny Weinbeck Trio (Gordy Johnson on bass, Phil Hey on drums). Pianist Benny has a golden touch, and with long-time collaborators Gordy and Phil, offers such jazz classics as “Softly, As in a Morning Sunrise” and “Take 5.” Gentle enough to help you chill out after a long week, but with enough edge to keep you comfortably alert. And it’s all in a very comfy atmosphere, perfect for that glass of wine, appetizer, even dinner. Or just a night cap. There’s a similar warmth and calm across town at the Lobby Bar of the St. Paul Hotel where Joann Funk and Jeff Brueske have been the weekend entertainment for the past few years. 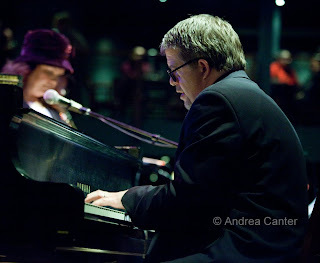 On vocals and piano, Joann channels her inner Blossom Dearie with swinging support from bassist Jeff. Stay for the evening or make it a prelude to an evening at Ordway or the AQ… or an after-theater stop. Jazz@ St. Barney’s is a long-running, monthly series of chamber jazz at the St. Barnabus Center for the Arts in Plymouth. 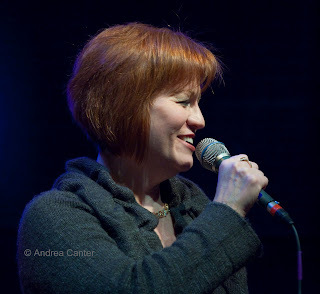 This Saturday night (1/21) features vocalist Paula Lammers and the sublime Mary Louise Knutson Trio. 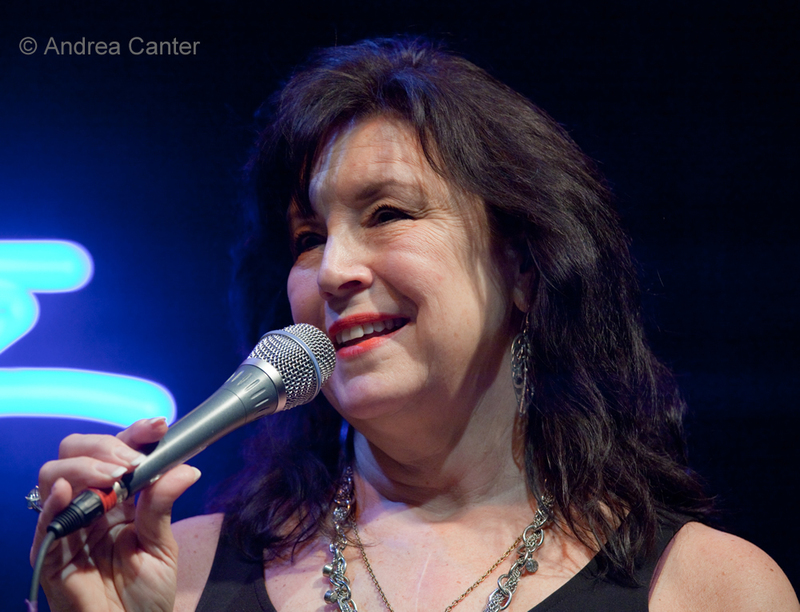 Trained in opera, Paula moved in a more swinging direction with a long tenure on the Minnesota Zephyr, heads her own 9-piece swinging ensemble, Cloud Nine, performs in duo with vocalist Reeves Cary, and is now the lead vocalist for the Phil Mattson Singers. 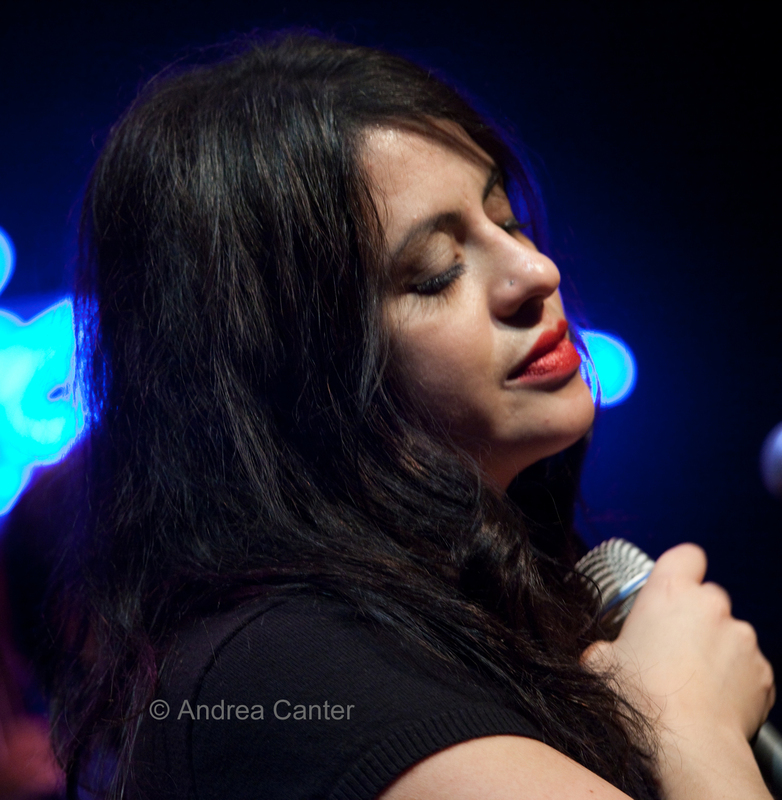 Her latest recording, Deep Purple Dreams, draws from folk, pop, cabaret and theater; from songbook kings Duke Ellington, Cole Porter and Johnny Mandel to pop icon Billy Joel to local jazz diva Judi Donaghy; from Bill Evans and Michel Legrand to Stephen Sondheim and Henry Mancini, and beyond. In other words, Paula Lammers goes far and wide to find songs that we don’t necessarily hear at every gig. And her instrumental support could not be any finer, with the ever-effervescent lyricism of pianist Mary Louise Knutson, with bassist Jason McLean and drummer Nathan Norman. The Jazz @ St Barney’s setting is informal—you can even get treats and a beverage to enjoy with the music. They just played to a strong crowd at the Artists Quarter on a subzero night, so you know Snowblind can raise the temperature! This brass quintet has been together now for 7 years, and their book is stuffed full with original compositions and heady arrangements from Shilad Sen, Adam Rossmiller, Scott Agster, Graydon Peterson and Reid Kennedy. 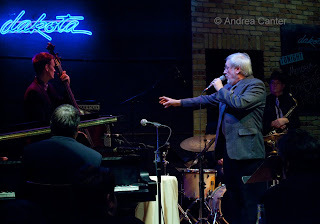 They fill the performance “stage” at Jazz Central on Monday night (1/23). 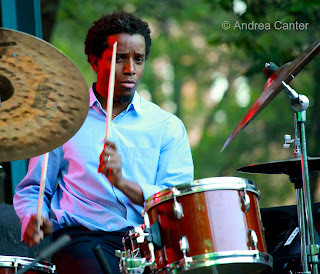 Once a fixture in the Bay Area, drummer/percussionist Babatunde Lea has relocated to Wisconsin and crawls over the border now and then to mix it up with local string men, guitarist Zacc Harris and bassist Adam Linz. They take no prisoners on Wednesday (1/25) at Café Maude. Be sure to make a reservation so you can see them at work. It’s only one of several hot acts on the same night, with the Artists Quarter hosting Steve Kenny and the Bastids, boppin’ their way through hot charts, followed by the Graydon Peterson Quartet gathering momentum (Adam Meckler, Vinnie Rose and Adrian Suarez); and on the West Bank, it’s the T Collective (James Buckley, Michael Lewis, Martin Dosh and Tim Glenn) exploding at the Nomad World Pub. That’s a fair share of the top improvising jazzers all working the same night. Hard to choose. Good for music! More good strings at Hells’ Kitchen on Thursday (1/26) when the Joel Shapira Quartet take the stage. In addition to the boppish finery of Shapira’s guitar, the ensemble features the always volcanic saxman Pete Whitman, dynamic bassist Tom Lewis, and versatile drummer Dave Schmalenberger. Their Open Lines was one of the top local releases of 2011. • Tuesday, January 24: Cory Wong Quartet at the Artists Quarter (early show); Raul Midon at the Dakota; Maryann Sullivan at The Nicollet; Jack Brass Band at the Driftwood; Nova Jazz Orchestra at the Shorewood. If saxophonist Mike Lewis ever left the Twin Cities (and we are always afraid he will), there would be a sudden brown-out, at least musically. Aside from his amazing horn chops, Lewis infuses vital energy into everything he touches, from Fat Kid Wednesdays and Happy Apple to the Bryan Nichols Quintet, tours with Andrew Bird and his guest appearances last year with Adam Linz’s Charles Mingus project at MacPhail and Ann Millikan’s House of Mirrors experiment. Last Sunday at the Artists Quarter, Lewis and fellow sax monster Brandon Wozniak anchored the Bryan Nichols Quintet + 1 performance of the music of the Keith Jarrett American Quartet, part of the Twin Cities Jazz Society’s Jazz from J to Z series. It seemed that music soared even higher than the original, in no small part due to Mike’s hair-flying, body-rocking, never-hold-back high-voltage improvisations that spattered, sputtered, spiraled and sprayed his notes in all directions. You can next catch Mike at the Nomad World Pub on January 25th in the fine company of James Buckley, Martin Dosh and Tim Glenn as the “T Collective.” Bring any devices that need recharging. There’s a “Winter Jazz Blast” in Roseville Saturday but the weekend as a whole could be classified as a “jazz blast”—an explosion of diverse and high-flying artists from near and far descending upon clubs throughout the metro, with a heavy concentration in St. Paul. Meanwhile, just up on Cathedral Hill, the congestion of the International Red Bull Ice Crash might challenge some driving and parking, but just allow extra time, as the music will be well worth the effort. 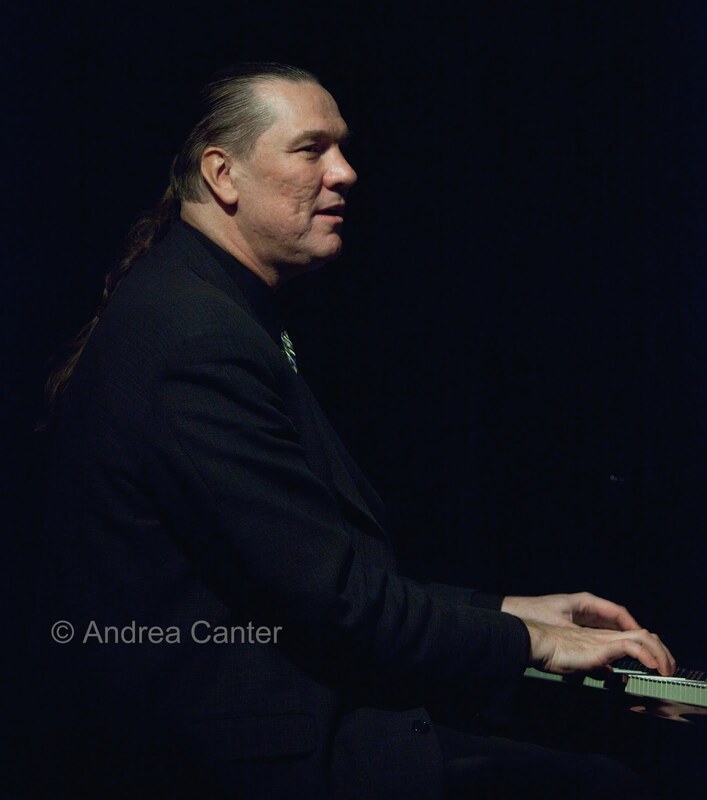 Friday night (1/13) at the Artists Quarter, we welcome the return of a favorite “adopted” son, jazz festival “house pianist” and always-entertaining host, Jon Weber. For years, Weber has been a stalwart accompanist, soloist and “Stride Night” participant around the Twin Cities Jazz Festival, but he usually gets back to town at least once a year for his own gig at the AQ. 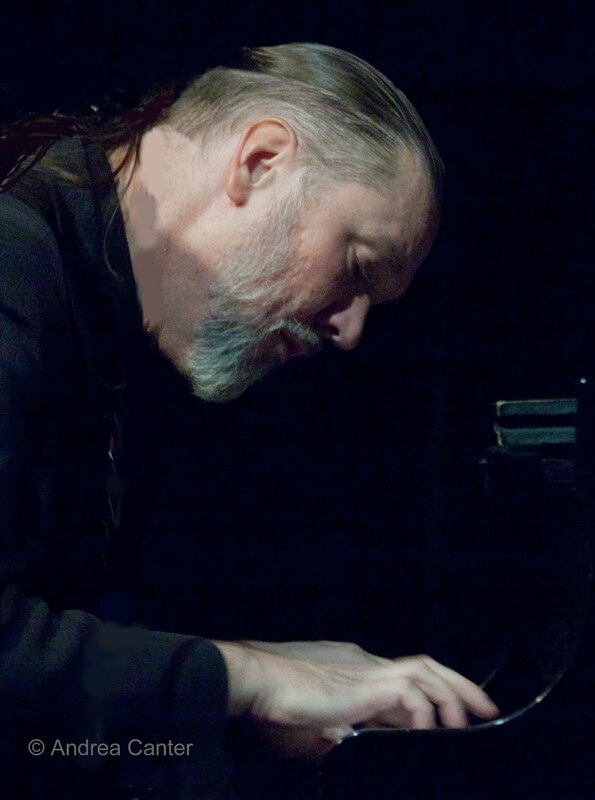 Hosted tonight by festival director Steve Heckler, the trio (with Billy Peterson and Kenny Horst) will no doubt run through diverse sets from boogie-woogie to post bop, while Jon will engage the audience in a fruitless effort to stump the piano giant by suggesting odd keys, odd time signatures and various styles, getting heavy doses of jazz trivia along the way. (Easy to imagine him taking over for Marian McPartland as host of NPR's Piano Jazz this season!) And don’t be surprised if Heckler provides a preview of what will surely be the most exciting TC Jazz Festival ever (June 28-30). All day Saturday (1/14), it’s the annual Roseville Winter Jazz Blast held at Northwestern College. 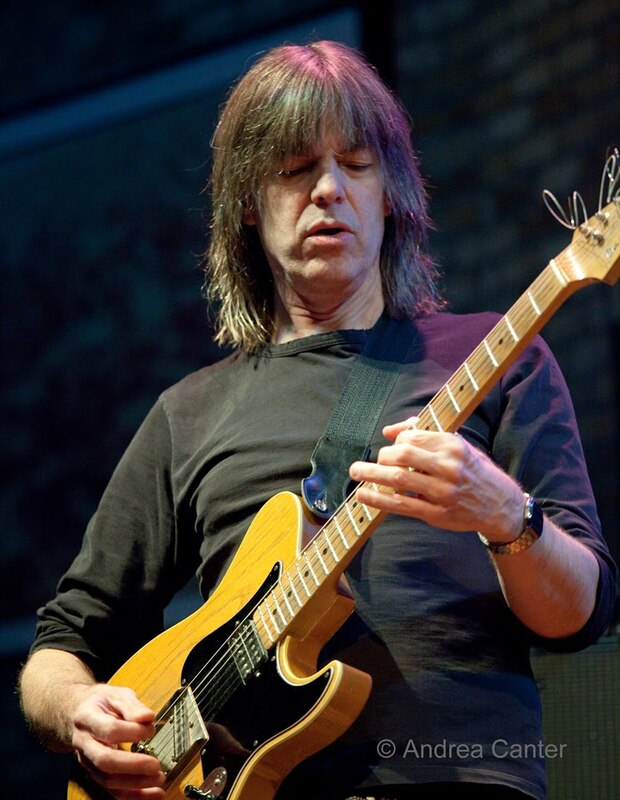 Throughout the day, 18 middle and high school bands will perform and attend clinics, building up to a concert finale in the evening with the JazzMN Orchestra and special guest, guitar whiz Mike Stern. Stern performed with JazzMN during their 2010 concert season and his interact with the band was truly exciting. The festival is open to the public at no charge, and the evening concert (7:30 pm) is very reasonable. A good way to enjoy a cold winter day—inside with nonstop jazz! An interesting alternative on Saturday night: Bach and Jazz at St. Paul’s Celtic Junction, sponsored by the Bach Society of Minnesota. 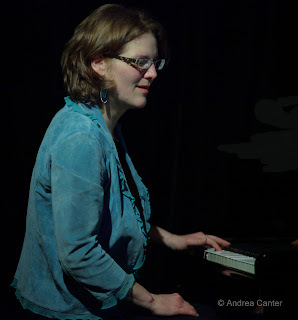 I’ve often been struck by the underlying baroque of some approaches to jazz improvisation, and tonight the connection will be more overt when the jazz trio Framework (Chris Olson, Chris Bates, Jay Epstein) join some Bach aficionados (Jin Kim, baroque violin; Julie Elhard, viola da gamba; Paul Boehnke, harpsichord) to pay homage to Johann Sebastian and play some Bach-inspired jazz. 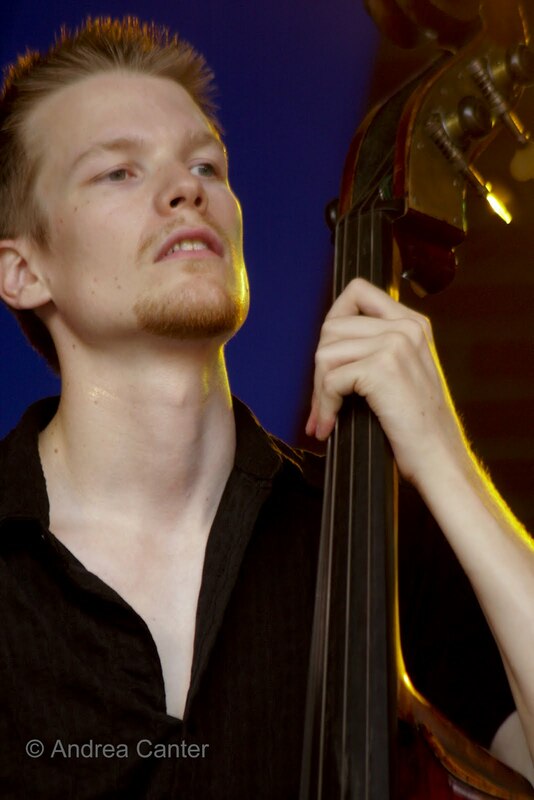 Dan Gilliam of MPR will lead a discussion between Boehnke (Bach) and Olson (Jazz). Come back to the AQ Saturday and Sunday! 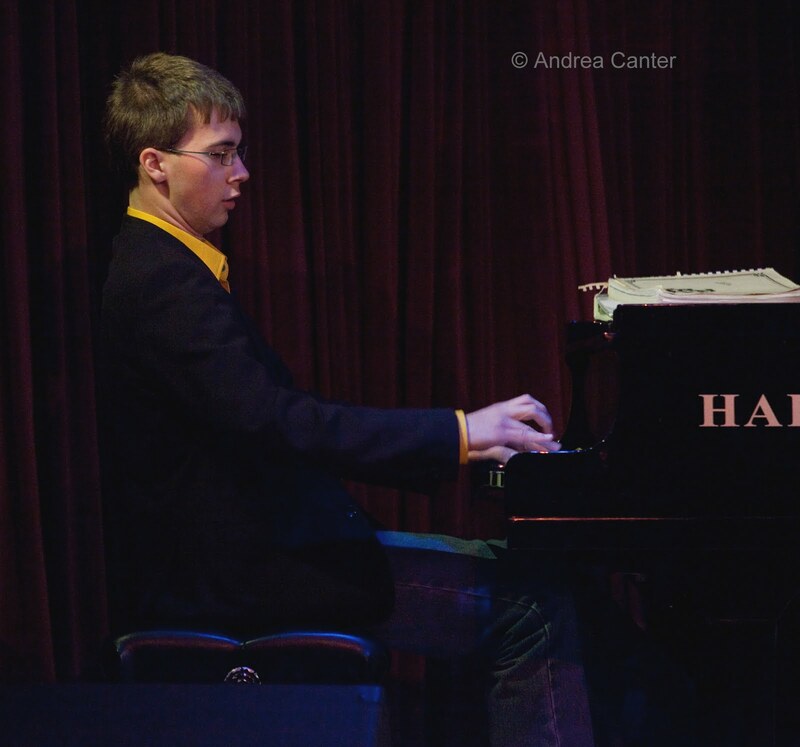 Saturday night (1/14) will be the St Paul solo debut of a rising star pianist, Richard Johnson. So who is Richard Johnson? 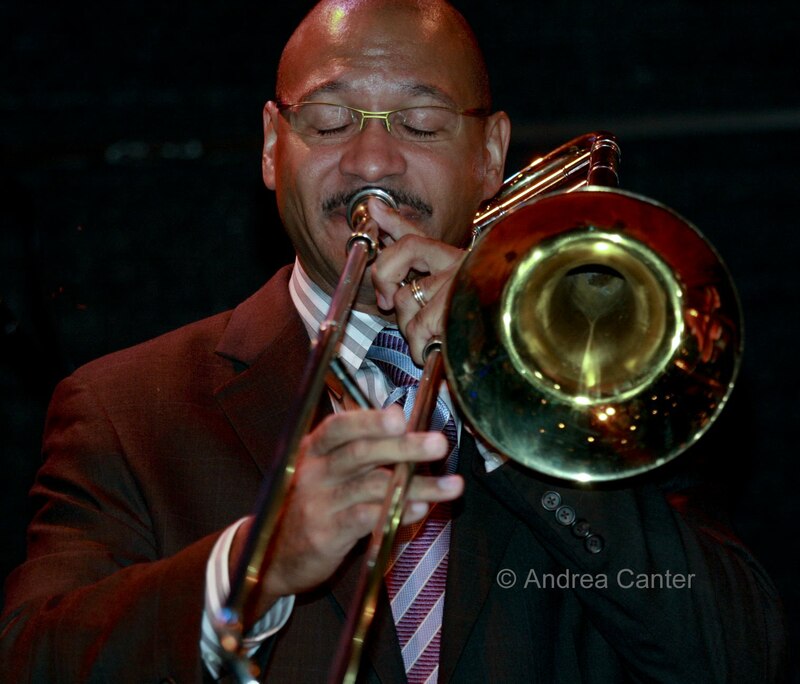 One-time pianist with the Wynton Marsalis Septet and Jazz at Lincoln Center Orchestra, Johnson has continued his charge with the likes of Russell Malone and Bobby Watson. He last appeared in St Paul at the TC Jazz Festival in 2010, with Watson’s quartet. Tonight he highlights the music of West Side Story, supported by our local heroes, Graydon Peterson on bass and Reid Kennedy on drums. And come Sunday (1/15), it’s the Twin Cities Jazz Society’s Jazz From J to Z concert featuring inventive pianist Bryan Nichols and his “Quintet + 1” exploring the music of Keith Jarrett’s American Quartet of the 1970s. This is a new program from Bryan, who is joined by saxophonists Mike Lewis and Brandon Wozniak, bassist James Buckley, drummer JT Bates, and special guest, percussionist Jay Epstein. 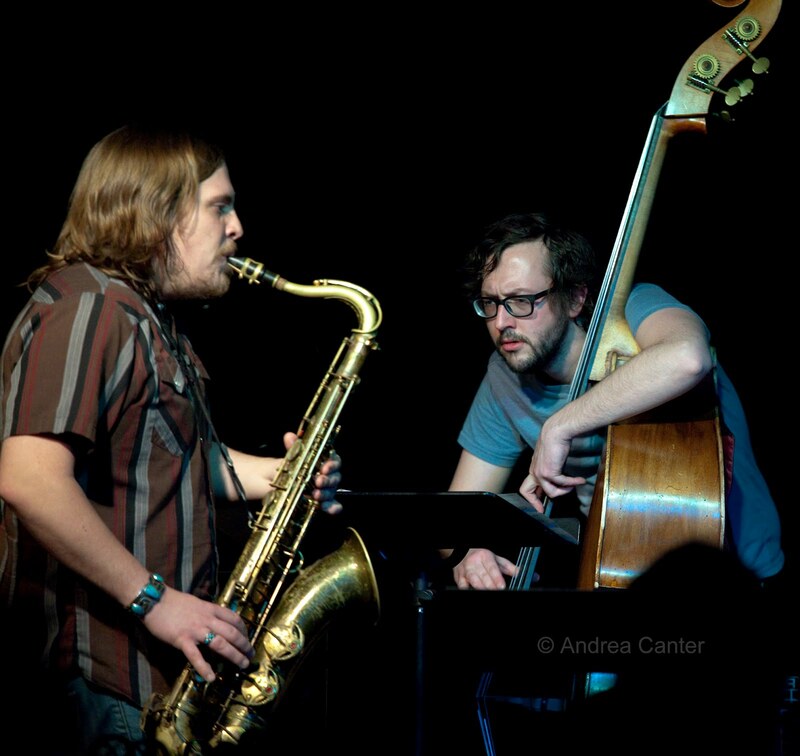 The early evening start (7 pm) features a short opening set from a trio of high school free jazzers, Respective Sound Convergence Summit (Sam Wildenauer, Henry Misa, Will Nelson). This ensemble drew praise from the master of free improv, Milo Fine, when they played at last summer’s Midtown Global Jazz Fest. Thursday night (1/19), the Atlantis Quartet makes a too-rare appearance at the Dakota, and tonight it’s also KBEM’s Jazz 88 Restaurant Tour, meaning a special menu package for those who sign up on KBEM’ site (if reservations remain). But it’s otherwise an open night to come down, order off the menu or just enjoy a glass of wine or a plate of fries with one of the best modern jazz ensembles in town, headed by guitar ace Zacc Harris with fellow improvisers Brandon Wozniak, Chris Bates and Pete Hennig. Thursday night (1/19) is the annual South High School Singer Showcase, this year featuring guest Connie Evingson with the acclaimed South Jazz Ensemble and a “showcase” of young vocalists from the South Pops Singers. 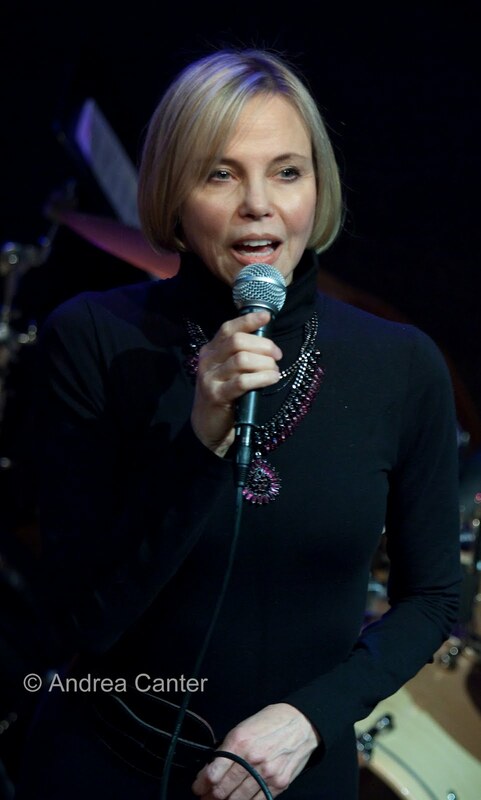 This year the singers have received special coaching in the art of jazz singing from local singer/educator Rhonda Laurie, with support from the Jazz Artists in the Schools (Midwest Regional Arts Council) grant to the Dakota Foundation for Jazz Education. And you never know, one of the alums of the Pops Singers is Jose James, one of the brightest new stars on the jazz planet. You might be hearing a star of the future as well as one of the brightest local stars of the present. An unfortunate conflict, on the same night farther south at Roosevelt High School, the jazz band led by Tom Wells will perform with guest artist/clinician Amber Woodhouse. Saxophonist Amber, a graduate of St Paul Central High School and the Berklee College of Music, was herself a young teen star and member of the first Dakota Combo. Also supported by the Dakota Foundation for Jazz Education via its MRAC grant, Amber has been working with the new Roosevelt jazz program this winter. 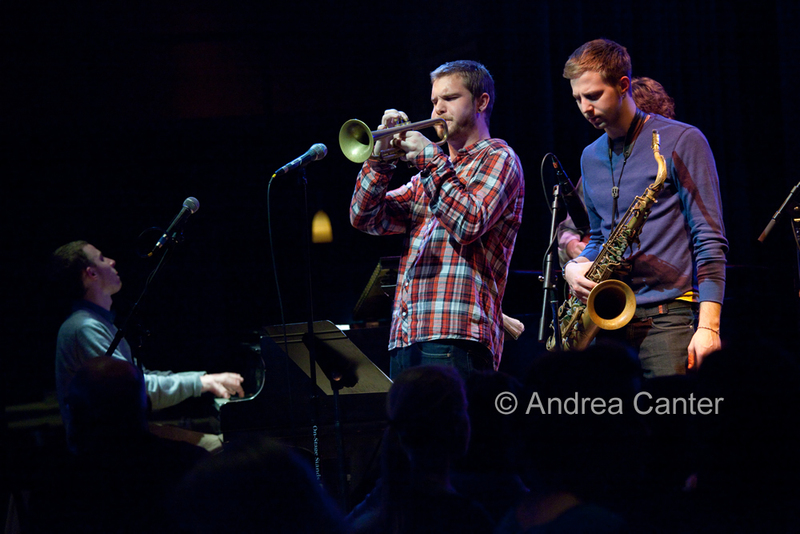 It’s been a good winter so far for young jazz musicians in the Twin Cities. It seems new opportunities come along every week, and often it’s because these future stars are creating their own—through teachers, slightly older peers, whatever connections they can find. The latest installment of the Twin Cities Jazz Society’s Young Artists Series kicked off the winter season at the Artists Quarter in mid-December with a trio led by South High senior and drummer Emerson Hunton, and featuring fellow South senior Sam Wildenauer on bass and Northwestern U freshman (Minnetonka HS class of 2011) Brad Allen on tenor sax. Covers and originals filled the set, and pianist Quentin Tschofen, at the time in his first semester at UW-EC, sat in on the final tunes. (He’s now on his way to New York to start the jazz program at the New School.) 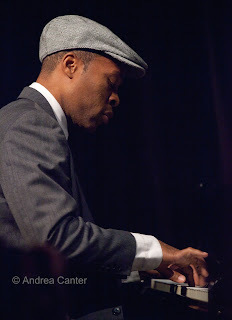 A week later, Quentin performed a solo set as part of the Schubert Club’s Courtroom Series. In addition to a couple standards and a solo arrangement of his own “North,” Quentin’s skills were tested when he was asked to spontaneously improvise on “Jingle Bells.” And just a week ago, bassist Sam found himself playing with veteran improvisers at the Black Dog Café when he joined Alden Ikeda, Joe Smith and Nathan Hanson in the Community Pool/Deep End Series’ featured gig. Sam brings his own teen trio (Respective Sound Convergence Summit) to the Artists Quarter this weekend, opening for Bryan Nichols on Sunday (1/15). Just before the New Year, the Minnesota Youth Jazz Band held its annual winter jam at the Artists Quarter. Directed by David Mitchell, MYJB is the premiere metro-wide big band experience for high school, and now middle school, jazz students. This evening was an amalgam of current and former MYJB musicians playing a variety of configuration, from small combo to full 22-piece band, and mostly on the fly. But they had learned their lessons well, some now finishing college studies. In full force, this might have been the largest ensemble to play at the AQ, spilling well into the seating area. And they probably displayed the most enthusiasm per square inch. The management of the constantly changing format and personnel was almost as incredible as the resulting music. And the audience? Mostly family and a lot of students whose enthusiasm closely matched the performers. About eighteen months ago I was contacted by Tyler Anderson, then a junior saxophonist at UW-Eau Claire. He had recorded a CD and was hoping to get it reviewed. 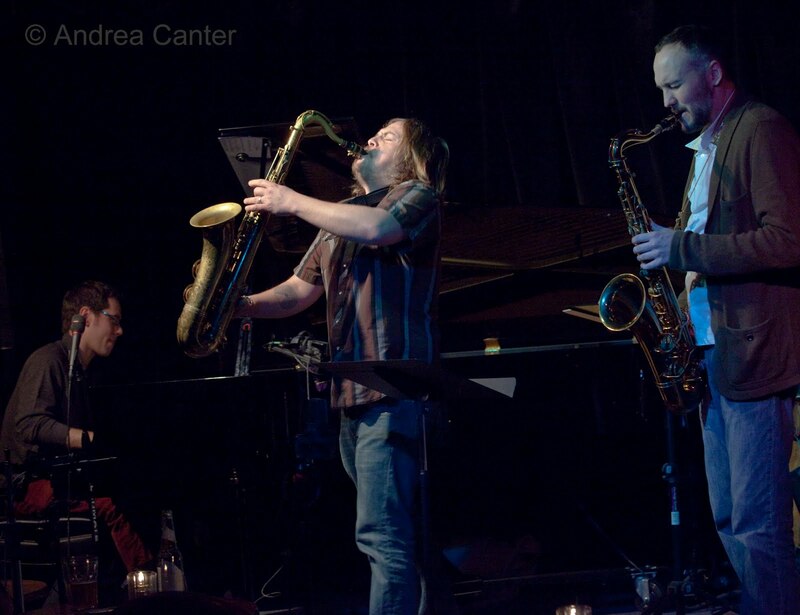 A few months later, when TCJS was seeking a small ensemble from Eau Claire for the Young Artists Series, director Bob Baca sent us to Tyler, who had just formed a new quartet called The Coriolis Effect. Their set last October was surely the most sophisticated we ever presented in this series. Now the band, their own EP in hand, is spending winter break touring around the upper Midwest, playing some club gigs and presenting clinics in several high schools. 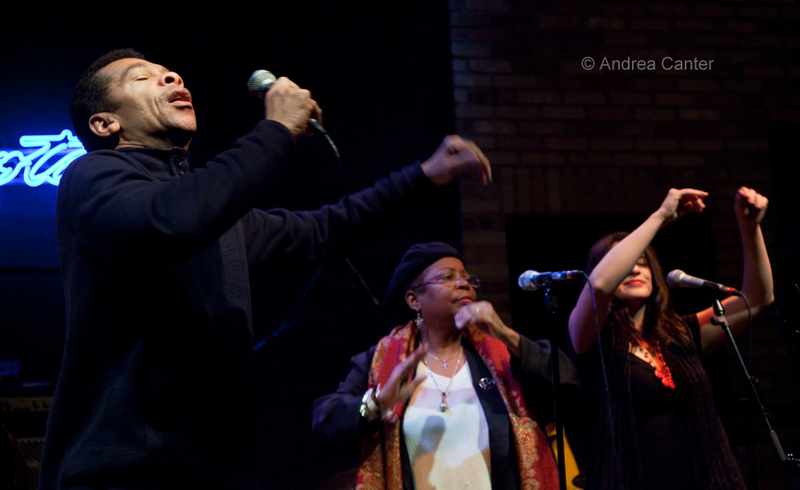 One of their first stops (last week) was Jazz Central in Minneapolis, and their promotional activities paid off as the performance space was filled, mostly with a young crowd who are often noticeably absent from jazz gigs in more formal settings. Ranging from freshman bassist Jordan Jenkins and junior pianist Cody Peterson to the soon-to-graduate seniors, Anderson and drummer Mike Malone, they played a set of original music. In the very dim light of Jazz Central, it was hard to remember these were guys still worrying about final exams and graduation credits. Winter break provided an opportunity for another college musician to take the stage at the Dakota. Trumpeter Jake Baldwin, in his third year at the New England Conservatory in Boston, was already well acquainted with the Dakota stage. 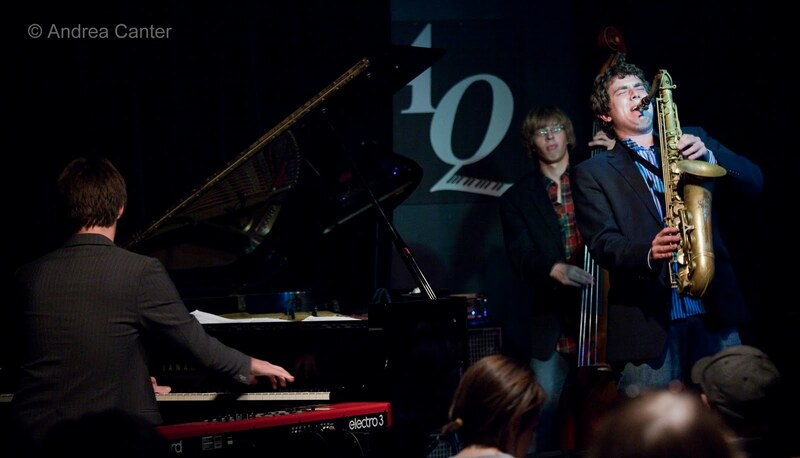 The Minnetonka High School grad first played in the downtown club with the Dakota Combo during his junior year, again as a senior, and a few times since with bands he and former Combo cohort, pianist Joe Strachan have put together for the Late Night series. And last May, Jake was again at the Dakota, scene of the International Trumpet Guild Convention and the finals of the ITG soloist competition. For last Friday’s Late Night, Jake led a sextet that he assembled when his frequent quartet collaborators were unable to make the gig, save Joe. That precluded a set of original music, but the band (featuring musicians tied to NEC and the U of M as well as South High and Manhattan School of Music grad Miguel Hurtado) smoked through a set of standards including a fine turn on “Darn That Dream,” some sizzling Parker and Monk, and a nod to the recently departed Sam Rivers (“Beatrice”) that highlighted U of M saxophonist Nelson Devereaux. Again, a strong and young audience got full exposure to modern jazz. Of course, jazz is not dead. But more than merely existing, jazz, in the Twin Cities and beyond, is thriving through the talent and fervor of student musicians, their instructors and mentors, and the audiences they bring to their performances. One wonders, will they all find a place to play? Will there be enough of an audience to sustain them through careers in music? For those who are creating their own opportunities for performance and teaching, the prospects are bright. Most of the Twin Cities vocalists who were not among the fifteen on the Dakota stage Tuesday night were in the audience, and many more musicians, writers, jazz fans, friends and family crowded the club for nearly four hours to pay respects and send off a musical tribute to popular singer Christine Rosholt. Rosholt, whose suicide on December 28th shocked family and community, leaves a significant hole in the area jazz family. She performed at every conceivable venue from southern Minnesota to the North Shore, in clubs, concert halls, libraries, nursing homes, gala benefits and private parties, in duos, quartets, big bands. She started out mining the Great American Songbook but lately was stretching her musical wings, most recently diving head first into songs written by British pop songwriter Kevin Hall, many written specifically for her as the pair worked on what would be her last recording, Pazz. Hall returned from England to participate in the memorial event. A rotating cast of musicians supported the singers Tuesday night, with organizer, long-time musical partner Tanner Taylor and her other long-standing collaborator Chris Lomheim sharing piano duties with Hall and George Maurer; the drums were manned by frequent cohorts Jay Epstein, Mac Santiago, and Paul Midori; her usual bassist Graydon Peterson managed the upright through the entire three sets. Throughout the evening, KBEM's Maryann Sullivan choreographed the sets while showing off her own vocal chops. Song choices were sentimental and tragically logical, from “I Remember You” (house band) and “I’ll Be Seeing You” (Rachel Holder) to “Leaving” (Vicky Mountain) and "Bye Bye Baby" (Maryann Sullivan). Sophia Shorai offered a heart-rending “Smile,” one of Christine’s favorites with its telling lyric; Katie Gearty rocked poignantly on “Let It Be;” Rhonda Laurie (“Blue Skies”), Paula Lammers (“You Must Believe in Spring”) and Arne Fogel (“That Old Black Magic”) offered some hope while lines in “Cheek to Cheek” (Nichola Miller) and “Close Your Eyes” (Lila Ammons) seemed to take on new meaning in this context. The second set, with Hall on piano, featured some of the songs from Pazz, that last collaboration celebrated just over a month ago on this stage, and here performed by Christine’s “back-up” singers, Rachel and Katie. But it was Patty Peterson who skillfully handled the most difficult presentation, singing the seemingly prophetic “Last Goodbye.” Kevin put speculation to rest; he wrote the song before he met Christine. Tragically the lyrics became all too relevant. J.D. 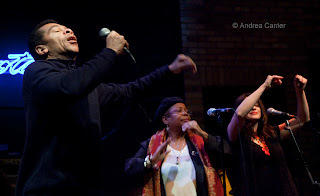 Steele, with Debbie Duncan and Katie Gearty, closed down the evening in a more celebratory fashion with a Motown finale. And leave it to Christine, as if a last gesture of support for the music scene she worked so hard to master, to bring together one grand display of the depth and breadth of local musical talent. There may be one less star in our jazz galaxy, but its light still travels with a bright after-glow. Memorial donations can be sent to the Hennepin Health Foundation's Christine Rosholt Act of Kindness Fund at 701 Park Av, Minneapolis MN 55414.